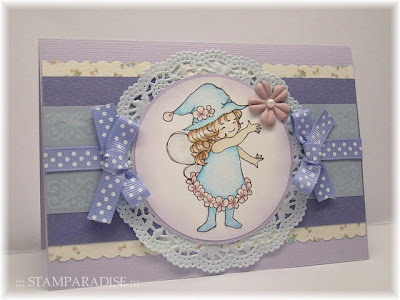 This card is for Colour Create#9.This weeks theme is "Lilac and Blue" with extra option is "to use ribbons and swirls".When I saw this theme,immediately I decided to use light-blue lace paper. 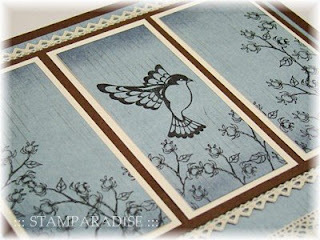 This card is for 2 challenges,Charisma Cards#12(My Favourite Things) and Stamp Something(Sketch Challenge). 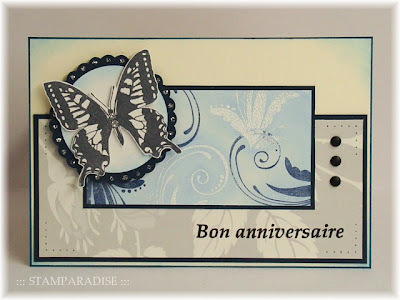 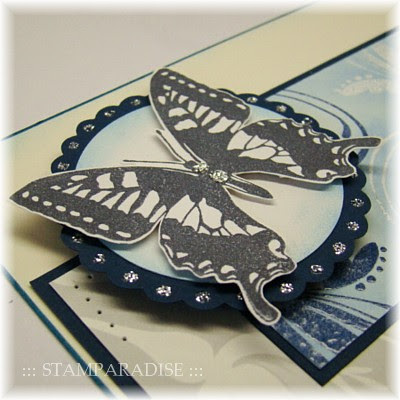 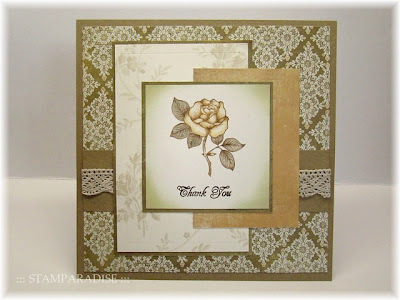 "My Favourite Things" I've used on this card are the rose stamp and lace. 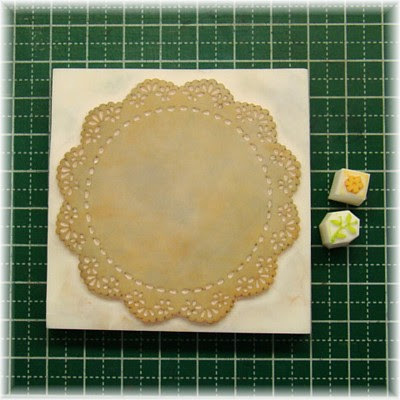 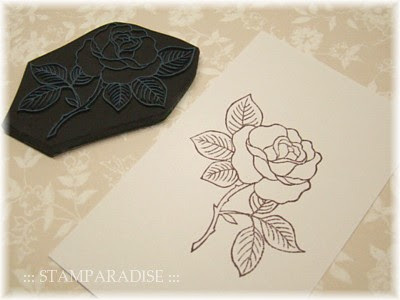 I love the rose motifs.I have carved various types of rose stamps by now,for example bouquets,corner stamps and line stamps. 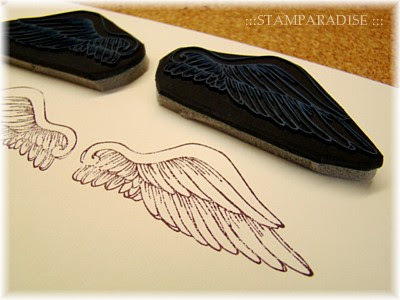 Today's stamp is one of them. 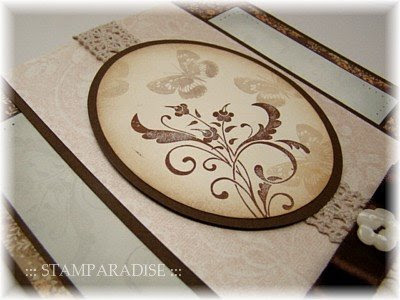 I made this card for this week's sketch challenge on Our Creative Corner.I have tried to make a "Chic and Elegant card"…How do you think? 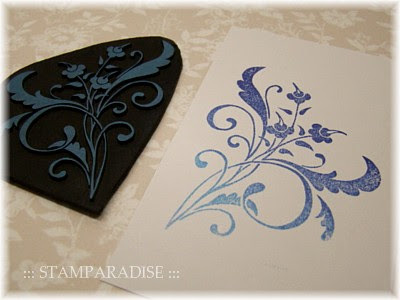 I carved this stamp for making today's card.I think that it will be a "regular member " of my works. 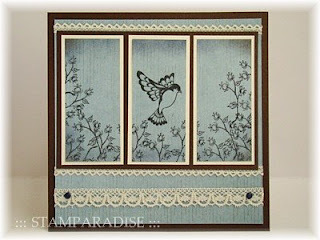 Colour Create#8's theme is "Navy,Turquoise and Lime" with extra option is "no design papers".This extra option is not so difficult for me.Because the design papers in my stash are not so much. 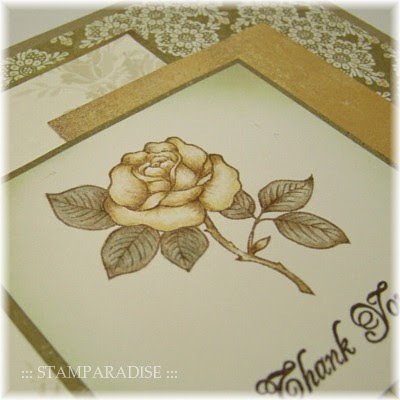 To make background paper,I stamped many many little rose images by VersaMark Ink,and heat embossed them with pearl embossing powder. 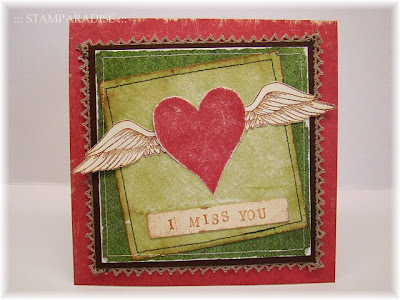 Colour Create #7's theme is "Red & Green" with extra option to add wings."WINGS"! 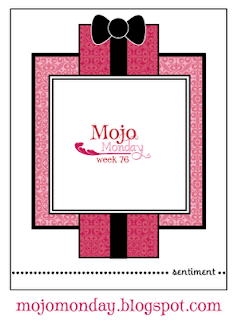 !This optional theme made me so excited.So I decided to make some new stamps for this theme. 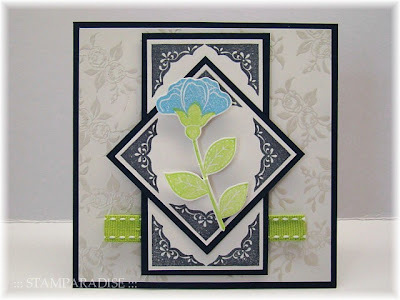 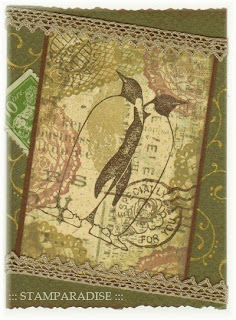 I made this card for 2Challenges,Wednesday Stamper and Stamp Something.The both themes are "GREEN". 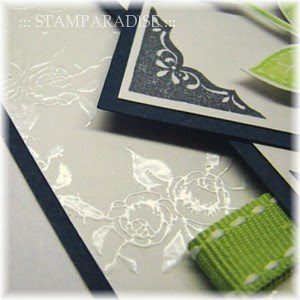 Several other challenges also pick up "GREEN" ,because spring is coming,I guess.When I see the color of green,I feel some fresh sense in this season.But Wednesday Stamper says "The other side of GREEN represents jealousy, envy and inexperience. 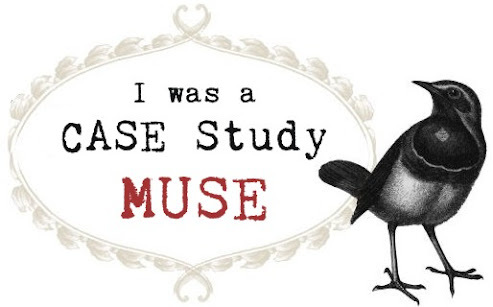 "It was so interesting for me. 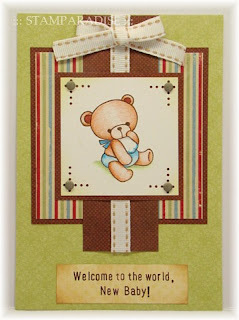 Today's my card has confusional mood,doesn't it?How do you think?? 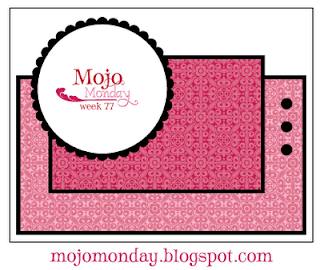 This card is for the challenge at Mojo Monday Week77. 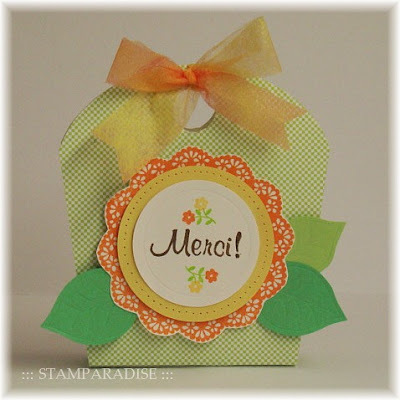 This week's theme of Colour Create is "Orange,Yellow and Green".This combination was very difficult for me.I have some kinds of orange and yellow ink,but I have used them only a few times.It's also same about papers. 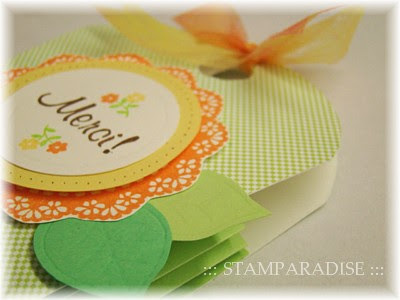 This week's extra option is "something other than a card".I decided to make a gift bag!I printed small green check on photo papers,and used them to make a bag. 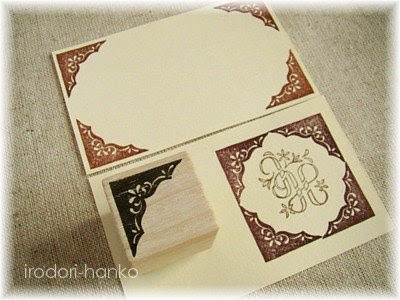 These are the stamps I used.These are made of erasers.Do you know "Eraser Stamp"(It is called "KESHIGOMU-HANKO" in Japanese)?? 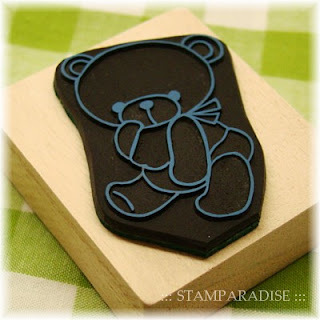 This is my first entry to "Stamp Something". 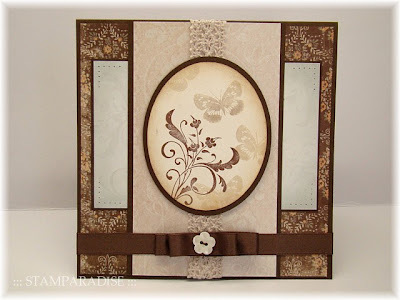 This week's theme is "Favorite Somethings". 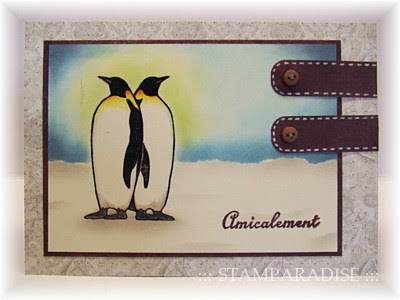 My favorite somethings is… PENGUIN,especially EMPEROR PENGUIN! 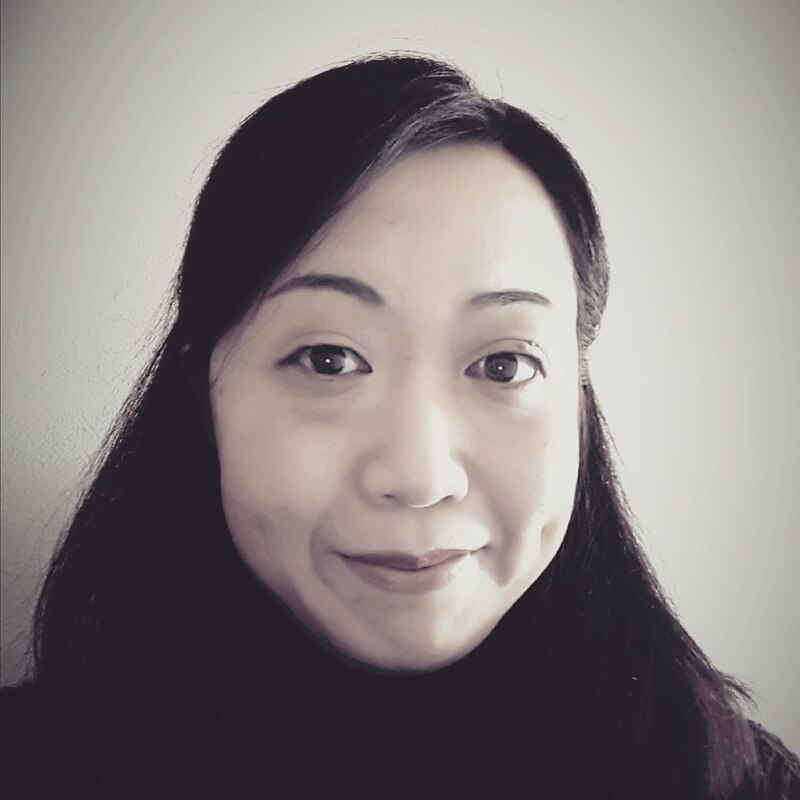 I can't speak English,but I can read. 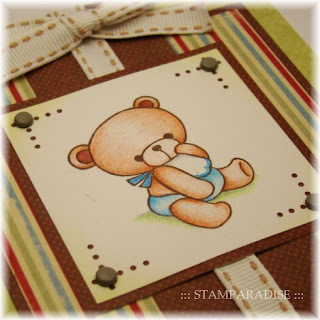 Please leave a comment if you have time. 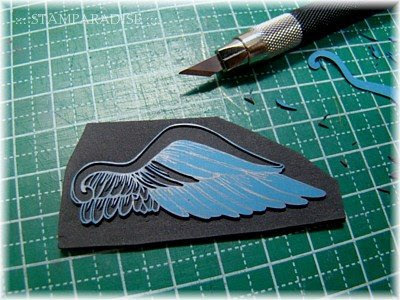 I can't speak English,but I can read.Please leave a comment if you have time.